(TibetanReview.net, Feb01, 2015) – Although the only terror people speak of when it comes to Tibet is the Chinese government’s brutal machinery of intimidation and repression, the authorities there appear to seek to create the impression to justify this atmosphere of fear by announcing substantial rewards for those providing information about violent terror attacks. 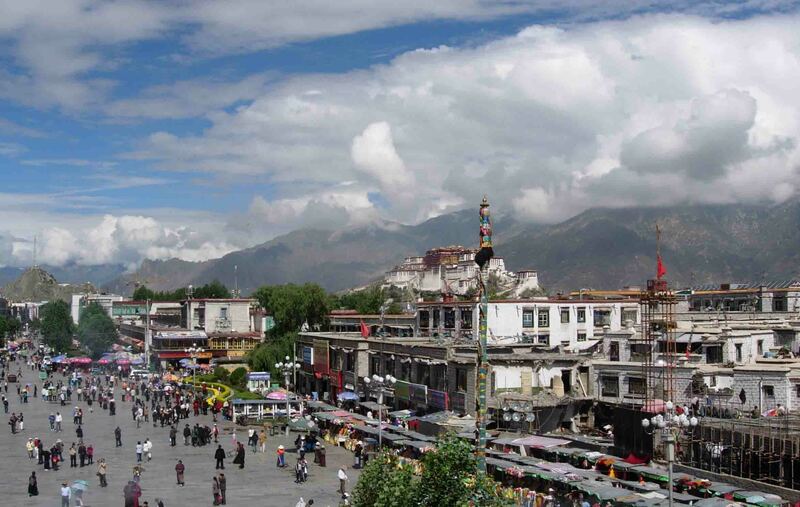 A document published by the regional public security department of Tibet Autonomous Region promises up to 300,000 yuan (US$ 48,003.8) to whistle blowers who provide clues concerning violent terror attacks in a move to promote stability in the region, reported China’s official Xinhua news agency Jan 31. The reward is said to cover tip-offs on overseas terrorist organizations and their members’ activities inside China, the spreading of religious extremism, terror related propaganda, those producing, selling and owning weapons, activities that help terrorists cross national borders and terror activities via the internet. People are invited to provide tip-offs through the “110” emergency line or to go to the police department to report in person. The report said awards will vary based on the significance of the tip-offs. It added that the safety of the tipsters will be protected while anonymous tip-offs will not be rewarded. The document was also cited as saying people who falsely accuse others and spread fabricated information will be investigated for legal responsibility.